Nicolas Grum will present a selection of video works and I See Nothing, a work in progress developed during his residency at ISCP that addresses ideas of security, paranoia, systems and the absurd. Grum questions the idea of authority and the operation of established systems, and plays with concepts including the unstable, failure, disaster, environment and adaptation. His work is developed through diverse artistic mediums, particularly video, drawing and installation and irony and humor is present in most. Nicolas Grum was born in San Miguel, Chile, in 1977. He studied visual arts at U.C. Santiago de Chile. In the last two years his work has been part of the Trienal de Chile, 2009; Beijing Biennial, 2009 and several groups shows in Rio de Janeiro, Sao Paulo, Buenos Aires, Montevideo, Santa Cruz, Berlin and Shanghai. Jiandyin (Pornpilai & Jiradej Meemalai) will show Stop E-motion, a seven minute stop-motion video edited from everday fragments of the artists’ lives, including photographs, drawings and notes. On Adaptation will also be presented. This 13 minute video shows the artists portraying a couple who struggle and attempt to balance the tension, instability and insecurity in their relationship. Jiandyin is a duo of artists from Thailand. 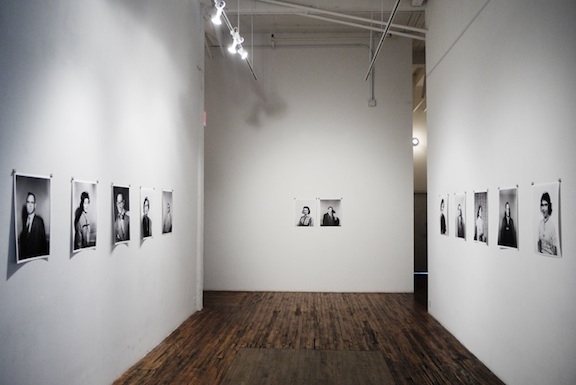 Their works look at the tension in human relationships. They also project an awareness of ‘living together as an adaptation’ in our rapidly globalizing world. In 2010, they began a participation project called Dialogue, an ongoing collaborative drawing of Thai / Thai American couples who live in United States. They will participate in The Penang Island Sculpture Project, Penang Island, Malaysia in 2011. Upcoming exhibitions include Art Live World at Chair and the Maiden Gallery, New York in September 2010 and a solo show at Kokoro Studio, San Francisco, CA, in November 2010. Jiandyin (Pornpilai & Jiradej Meemalai) , Stop E-motion, 2009, still images. Stefano Cagol will present two video works part of an ongoing social-practice-based project titled Scintillio e Cenere (Sparkling and Ash). In Taranto, the dirtiest city of Italy polluted by one of the biggest steel works in Europe, Cagol asked inhabitants to give sparkling objects in exchange of ash. He collected the objects during a traveling and standing action (in collaboration with Valentina Vetturi) through the city’s neighborhoods. He then realized a collective sparkling monument, marked by a white flag with the writing ‘Cenere’ (ash). The project is part of Miraggi (Mirages) at the Aragon Castle, Taranto, Italy (July 3 – September 13, 2010). Through videos, photographs, installations and actions Stefano Cagol touches upon socio-political themes, pointing to the contradiction between beliefs and influences. Jonggeon Lee will introduce a selection of recent works. Jonggeon’s sculpture and installation focuses on both domestic and public architectural structures, such as staircases or historic monuments that have been displaced from their original contexts. In an effort to capture his experience of cultural displacement, he reproduces components of architectural structures that evoke both the time and space of its origins. Lee distorts and crops the decorative elements of domestic Colonial houses, reconfigures the scale and material of historic monuments, and combines historic architectural structures with everyday objects. In his work, he transforms architectural structures in order to dislodge them from their initial function of structure. As a result, in each of his works, time becomes fixed and isolated from its conventional cycle, creating memories of space. 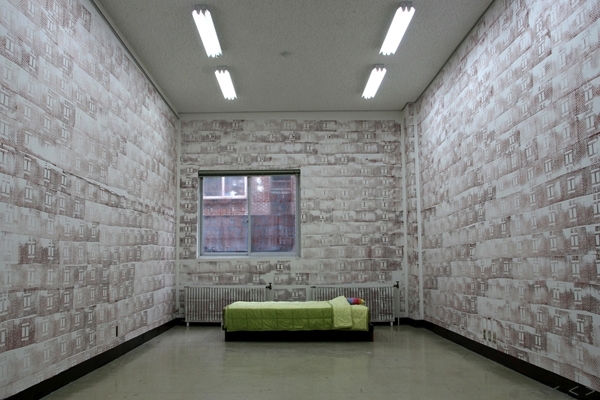 Jonggeon Lee, A Room of a Room, 2007, printing on wall, dimensions variable. 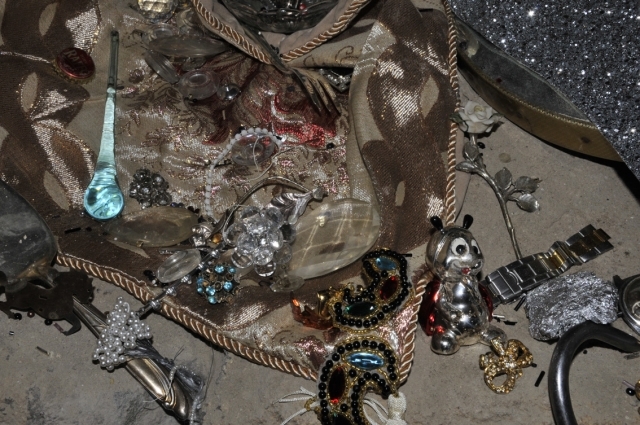 Stefano Cagol, Scintillio e Cenere (Sparkling and Ash), 2010, collective sparkling monument, various sparkling objects, 2 videos. 13'x 19' fabric flag, 39' flag pole. Aragon Castle, Taranto, Italy. Simone Bergantini (1977, Italy) re-evaluates the concept of photography. In 2009, he won the Terna and the Foam Magazine Talent Calling Prizes. He recently participated in exhibitions in China and Italy, and just had a solo exhibition at the Jarach Gallery in Venice, Italy. Rachel Scott will present a selection of short video works. “Rachel Scott’s 2006 video, (Like) watching paint dry was an utterly unidealized version of the creative process based on things going wrong, inspiration lost, loneliness, tracksuit pants and FM radio” (Sally Quin, Art & Australia, Vol. 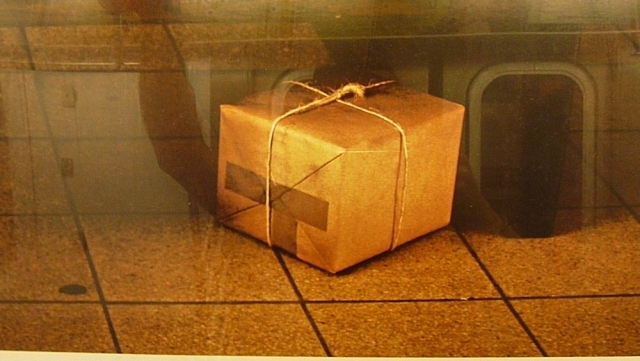 47, No.2, 2009). Collapsing everyday life with art practice, Scott’s work includes informal, site responsive, expressive gestures and actions undertaken by the artist within acknowledged formal, conceptual, controlled structures and frameworks. Working critically with painting, performance, installation and the camera, Scott engages the personal to examine broader social and art historical concerns. Academy, Singapore; and Lovesick, Stills Gallery, Sydney. Rachel Scott, (Like) Watching Paint Dry, 2006, SD digital video still image.